This year, Grantham University turned 65-years-young. That's 65 years of changing lives for the better ... of serving others. That's why, in May, instead of ice cream and cake, we celebrated with care packages for a local community in need. It all started with Suzie Tousey. As part of the Grantham Gives Back birthday initiative, the University invited employees to submit ideas on how they would use $65 (for 65 years, naturally) to give back to their community. Tousey, an instructor at Grantham and part-time Osawatomie Police Officer, pitched the idea of using the $65 to purchase care kit items. These kits would be used to help Osawatomie children and families in need – for those unhappy times when a child has to be removed from an unsafe home environment. "I thought, wouldn't it be nice," said Tousey, "to give them a new set of clothes or a blanket or, you know, a snack." The University selected Tousey's idea for the Grantham Gives Back program. 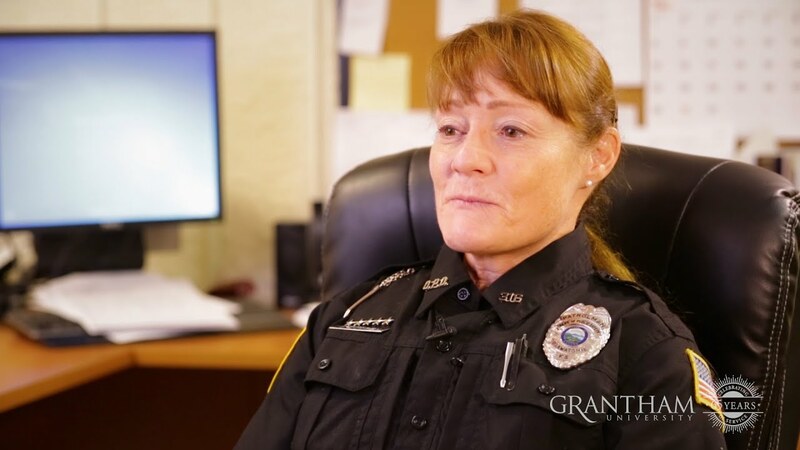 And Tousey took it from there – working with the Osawatomie Police Department to get community help ... going to area businesses to see if they would donate or match the University's $65 challenge ... and setting up a donation drive with her fellow Life Changers at Grantham.